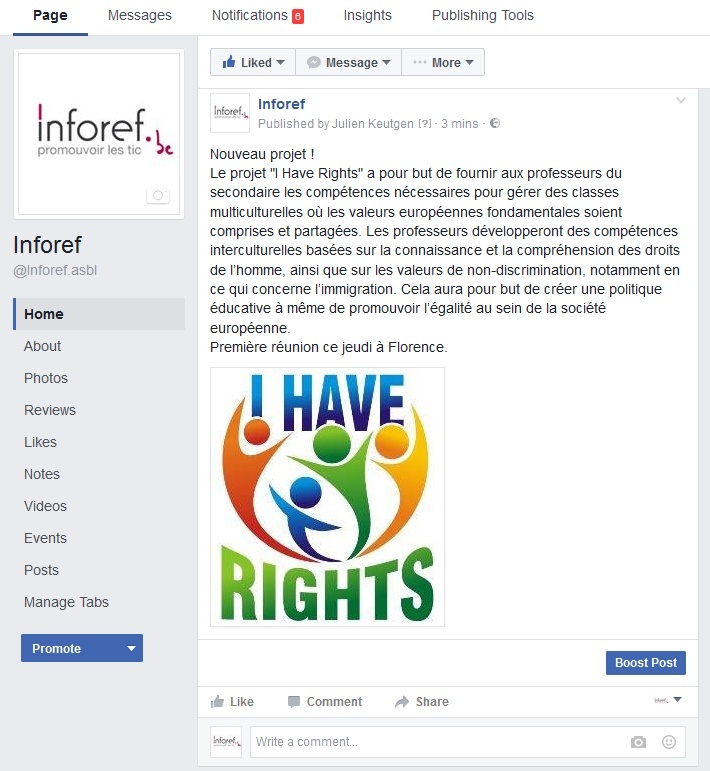 Inforef published news about the project, presenting its objective and activities on its Facebook page. Inforef will post news and updates about "I Have Rights) all along the project lifetime. All information published on Inforef's Facebook page automatically appears on Twitter. Inforef's followers are kept informed of the project ongoing activities and results.